A Terminix employee has been charged in relation to 2015 pesticide use at a US Virgin Islands resort that left a Delaware family gravely ill.
Jose Rivera was indicted Thursday by a federal grand jury for allegedly violating the federal Insecticide, Fungicide, and Rodenticide Act. The indictment says Rivera used fumigants containing methyl bromide in multiple locations in the Virgin Islands, including the St. John resort where the family that became ill was staying in March 2015. Methyl bromide can cause serious health problems, including central nervous system and respiratory system damage, according to the Environmental Protection Agency. The EPA banned indoor use of methyl bromide in 1984. The indictment alleges Rivera knowingly applied banned fumigants at the Sirenusa resort in St. John in October 2014 and March 2015. Prosecutors said Rivera also applied restricted-use pesticide in eight residential units in St. Croix and one unit in St. Thomas between April 2013 and February 2015. Steven Esmond, his two teenage sons, and the teens' mother, Theresa Devine, were found suffering extreme health effects in their villa at the Sirenusa resort in March 2015. Esmond was found unconscious and the boys and their mother were having seizures, the family's lawyer, James Maron said. Maron didn't say who called the paramedics. The teens were placed in medically induced comas for weeks. Six months later, the teens were still struggling to eat, walk and sit up on their own, Maron said. Esmond continued to suffer from extreme tremors, struggled to speak and couldn't turn the pages of a book. "Neurologically, it's like being in a torture chamber," Maron said in September 2015. Devine had less exposure than the rest of the family, but had to go through occupational therapy. The pesticide that caused the family to fall ill was applied in the unit below their villa. The exposure was so significant inside the treated unit that six weeks after the family fell ill, dangerous amounts of methyl bromide were still being detected inside the rental villa, according to EPA documents. Four emergency workers who helped the family suffered mild effects of exposure, according to the EPA. 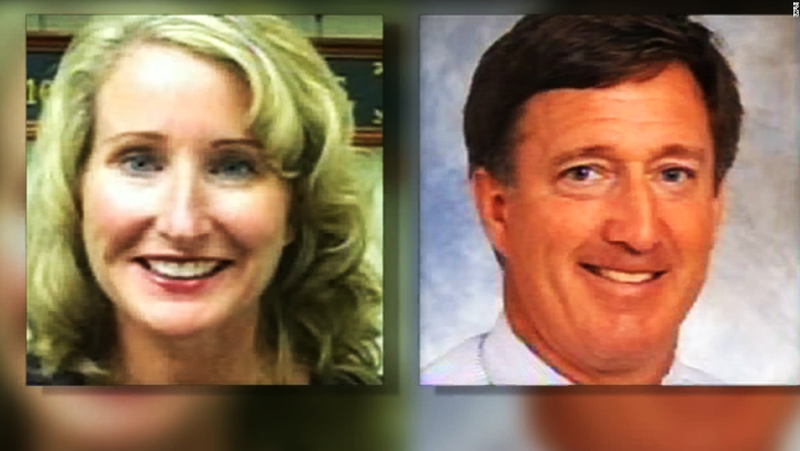 Terminix agreed in March 2016 to pay $10 million for illegally using the banned pesticide. "Terminix companies knowingly failed to properly manage their pest control operations in the US Virgin Islands, allowing pesticides containing methyl bromide to be applied illegally and exposing a family of four to profoundly debilitating injuries," US Assistant Attorney General John C. Cruden said at the time. The plea agreement included $8 million in criminal fines, $1 million in restitution and a $1 million community service project for Terminix International Company and its US Virgin Islands operation, the US Justice Department said.